Home > How can you measure the value of a webpage? > How is Google PageRank different from MozRank? On the surface, Google PageRank and MozRank are very similar. Both are a function of links to a page using an exponential scale between zero and ten. 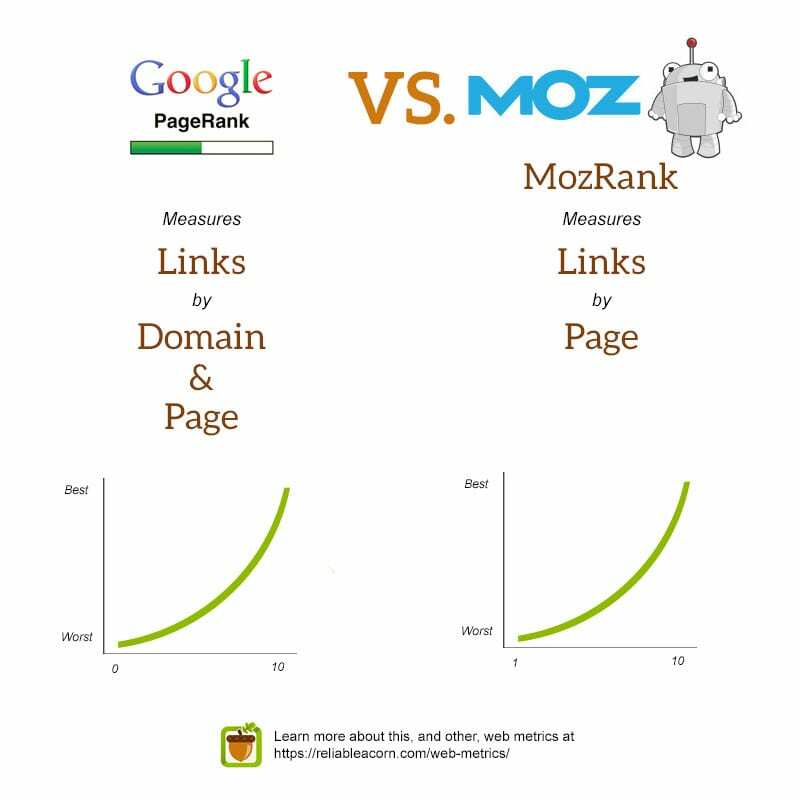 The difference is that PageRank can be applied to either a domain or a page but MozRank only applies to particular pages. These metrics attempt to measure the same factors but come to different values because of the data from which each is able to draw and the algorithms used to make the calculations.